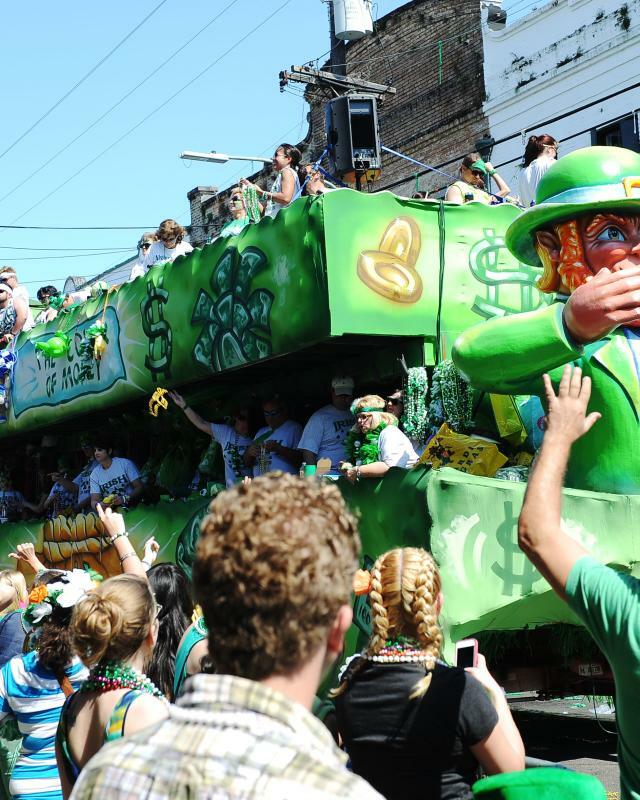 The Irish have long called New Orleans home, attracted by its Catholic traditions and historically anti-British sentiments. 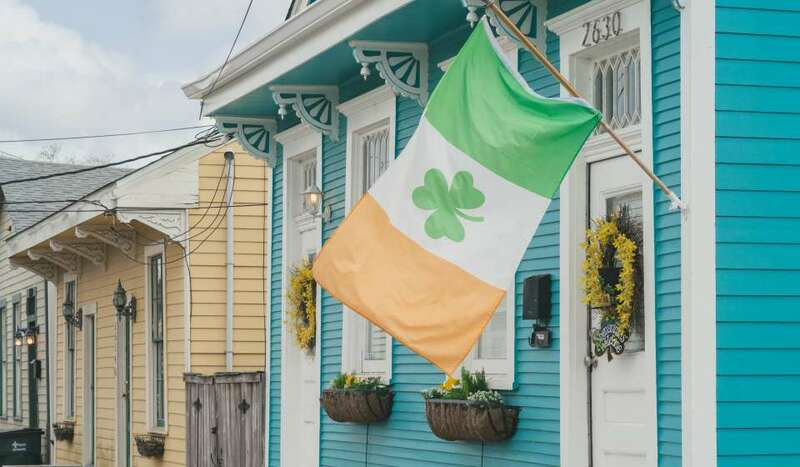 An early wave of Irish immigrants, fleeing British persecution at the end of the 1700s, landed in New Orleans and became well integrated into the economy and social life of the city. 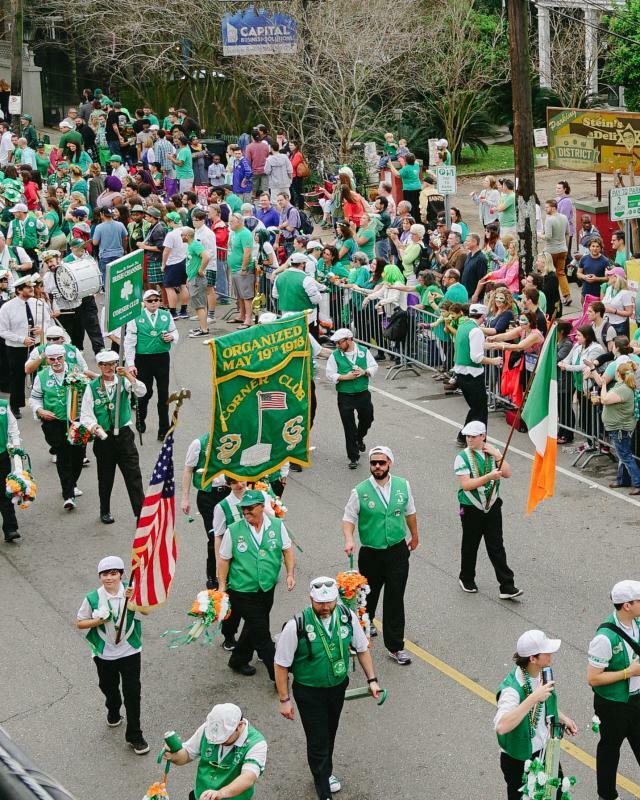 The first St. Patrick’s Day celebration in New Orleans was held in 1809 and throughout the 19th century, Irish social and benevolent organizations were formed, and Irish theater thrived. The still existing St. Patrick’s Church was founded in 1833 because Irish parishioners wanted to attend services in English, not French. Immigrants driven out of their homeland by the potato famine started arriving in significant numbers between the 1820s and 1840s. 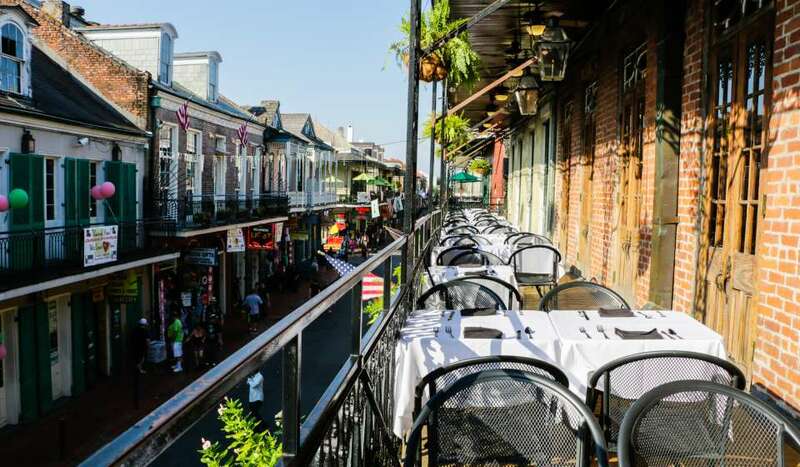 Irish immigrants often found cheap passage to New Orleans because cotton ships unloading in Liverpool, filled their holds with human ballast for the return trip. Conditions, needless to say, were far from ideal. Living conditions for the thousands of Irish immigrants once they arrived in New Orleans were also dismal. Poor and living in slums, the Irish were particularly susceptible to the epidemics that periodically swept the city. Many Irish labored on the New Basin Canal, a dangerous project that claimed thousands of lives. 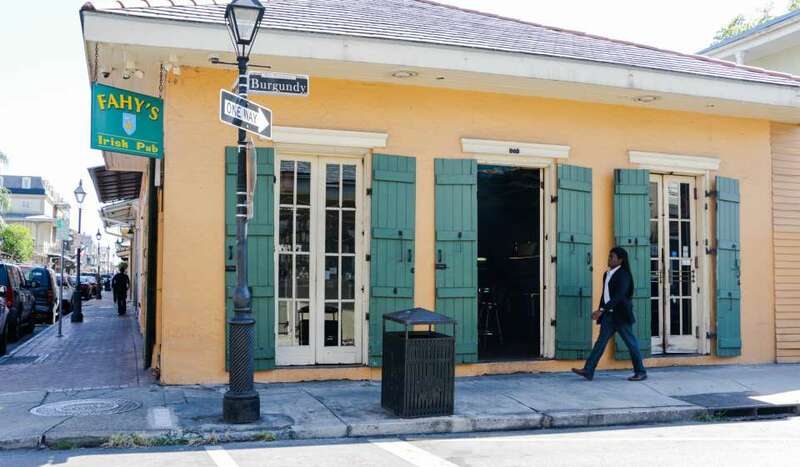 Still more immigrants came to seek opportunities in New Orleans. Until it was bought by Capital One in 2005, Hibernia Bank was the largest local bank in Louisiana. Hibernia is an old term for Ireland, and the bank, founded in 1870, prospered and quickly grew because of its Irish clientele. 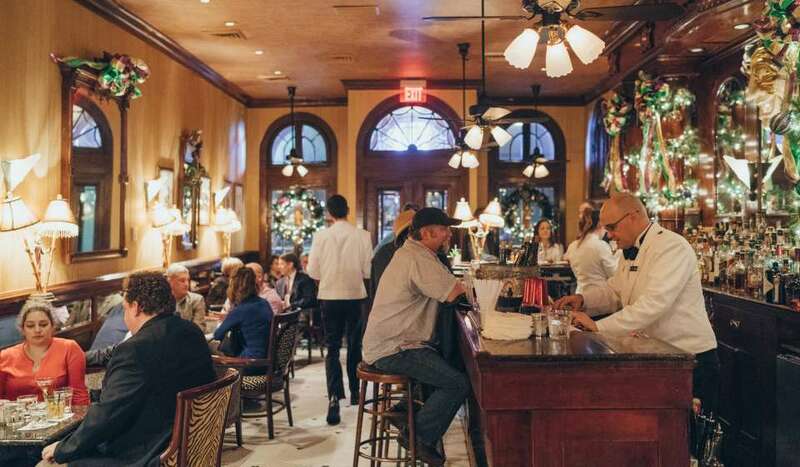 Although not really an Irish neighborhood anymore, an area near the Garden District called the Irish Channel retains its original name, architecture, and neighborhood feel. 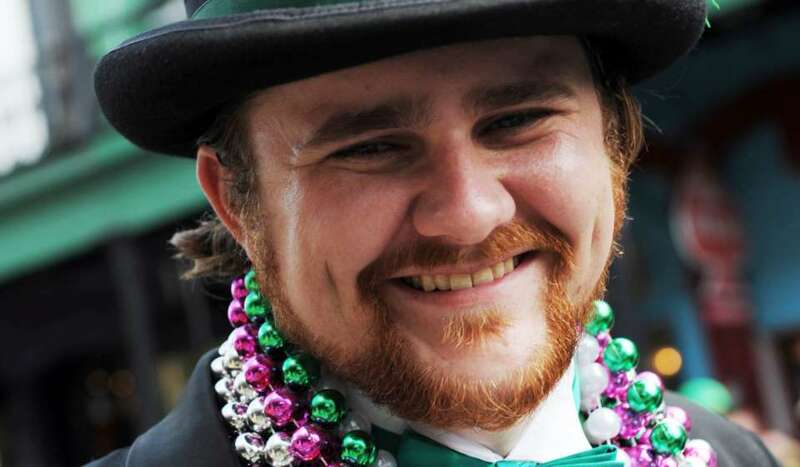 It is still the center of St. Patrick’s Day celebrations, with Magazine Street parade riders throwing cabbages, carrots and potatoes (in addition to green beads and Moon Pies) to the crowds. 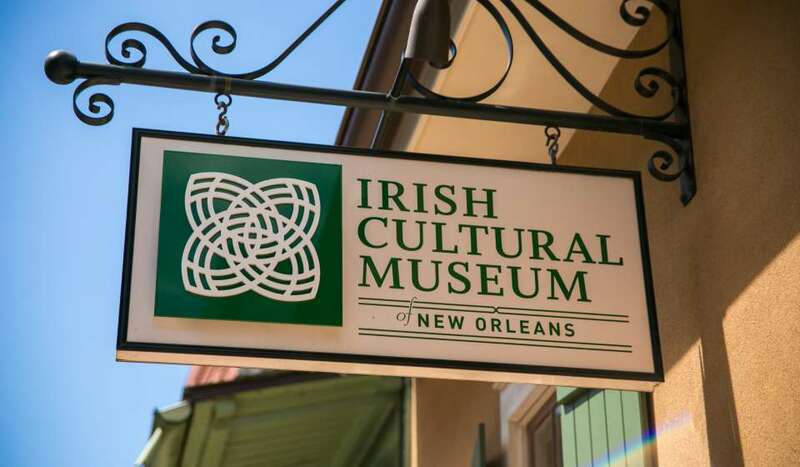 For an authentic slice of Irish history and architecture, visit Gallier House on Royal Street. James Gallier, Sr., and his son James Gallier, Jr., were Irish architects who designed many landmark buildings including Gallier Hall on St. Charles Avenue (the old City Hall). Gallier House in the French Quarter, originally designed as Gallier Jr.’s residence, is now a charming museum. Another landmark of Irish influence is the statue of Margaret Haughery on the corner of Prytania and Camp streets. Margaret Haughery was a destitute Irish immigrant who became a prominent businesswoman and philanthropist in the city. When she died in 1882, she was widely mourned. In commemoration of her good works, this statue of her comforting an orphan was erected soon after, said to be the first American statue honoring a woman. The most iconic Irish cultural landmark is St. Patrick’s Church. Founded in 1833, this Gothic church is now a National Historic Landmark. Once a center of Irish immigrant life, it’s still includes Irish descendants in its congregation. With beautiful stained glass, wood plaster details, and vaulted ceilings, St. Pat’s is one of the oldest buildings still standing in the Central Business District. 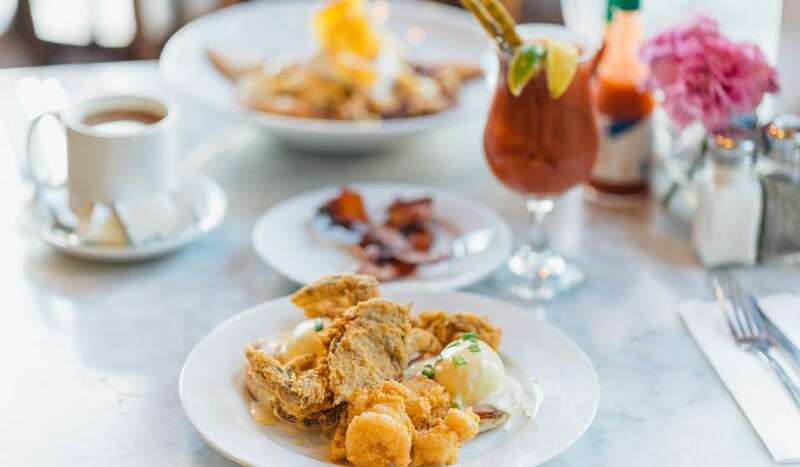 Like any city with a history of Irish immigration, New Orleans has its share of Irish pubs known for lively unpretentious ambiance and great beers on tap. Some pubs offer live music, often (but not always) Irish in nature. 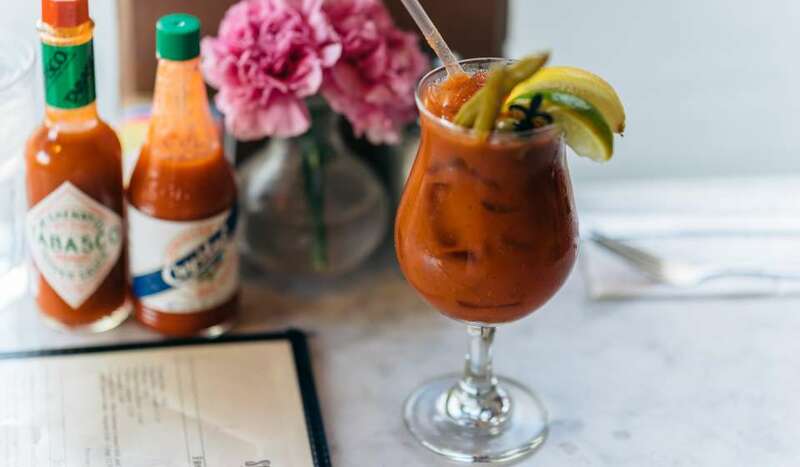 We celebrate St. Patrick’s Day with gusto at all of these pubs, many more on the Magazine Street parade route, and with celebrations throughout the city.